It’s a node in the compositor, so you can mix it as you want, choose the intensity, etc. I tested the Intel denoise node and It’s gorgeous for fast previews (and probably final renders too) in internal images. By itself already worth the investment! The course now has a video to show how to add new libraries on windows (the OpenImageDenoise one in this case) and add the new denoising node. You can get it until Monday at a reduced price. And it’s really made easy, even if you never wrote code before. is there any way to reach you via private message/email/discord? I couldn’t find an option on this site. Have you no respect for people who just learned Eevee Impressive results. Great. Mac version please. Again. Impressive, what resolution is this output ? It’s FullHD, such very fast render times are needed mostly for videos. I know it’s just some random Evermotion scene, but my point is it could be lit in a way which could turn $100 image into $1000 image. But that would probably not end up being just 2 minutes. The general point I am making is that optimizations stop becoming relevant as soon as they start to introduce easily visible bias that is significantly detrimental to final quality and realism of lighting. I suppose Evermotion guys use some fakes such as AO, or simplify bounces, and/or invisible fill lights. I’d first turn all the fakes off to truly see how your optimizations perform. To be fair, this one looks very fake. I didn’t notice anything. So I guess how fake it can look highly depends on the expectations of the client. For me and my work, there is no point in overdoing it to make it looks super realistic if it doesn’t have to - usually my own level of quality is set higher than what is expected of me - which leads to wasted time. Sure, if you are not ambitious about what you do, that’s fine. But such people should not be a benchmark for creation of rendering technologies. What does ambition have to do with the clients low budget? Here is the outline of the debate. I argued that if optimizations compromise quality too much, they are not much of use unless you do low quality work. Counterargument to that is that other people may not notice the quality is poor, and find it sufficient for low end jobs. My response to that is that’s fine, but it’s not a valid argument for developing a rendering technology. You can do both high end and low end work with renderer capable of producing high end results. But you can’t do high end work with renderer only capable of producing low end results. And of course, if you are willing to sacrifice that much quality for speed, then you are way better off using Eevee anyway. 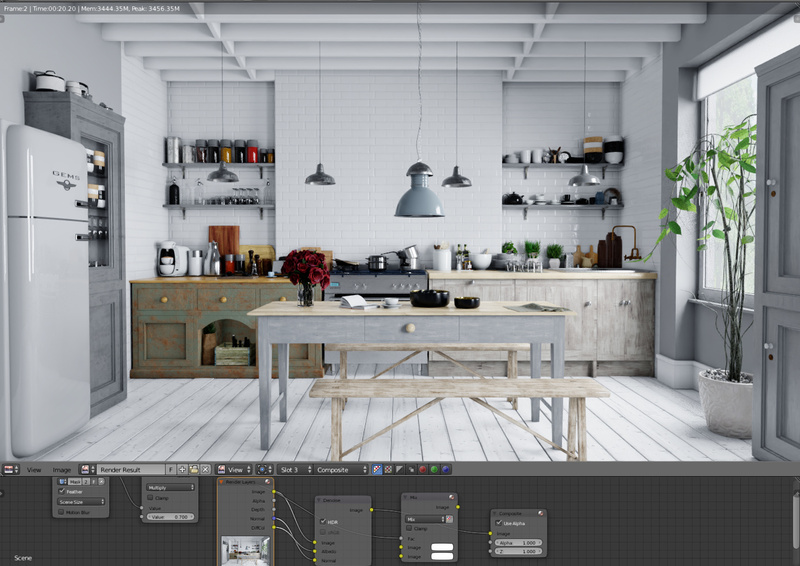 bliblubli is showing Cycles renders with very impressive rendertimes, but it’s also worth noting that those Cycles renders are set up in a way that compromises quality to such a degree the resulting photorealism is comparable to Eevee. So yes, you get rendertimes close to Eevee, but you also get quality much closer to Eevee. this utility certainly seems to be personally offending people, for some reason. given all your snarky/pompous comments, did it not occur to you that the render was simply an example to show the speed increase, and it’s not the fact that that’s the only way it works? it’s a render engine FFS, you set up the render however you want depending on your job/needs. it can be as simple or as complex as you (or your customer) want/need it to be. Render speeds will obviously reflect that, but the overriding fact of this build is that whatever your render set-up is, E-Cycles will probably do it a lot faster than that same set-up in stock. why not supply a file and show us your render times and someone can fire off a comparison for you to cast your haughty eye over? So just to clarify things, E-Cycles indeed let the user decide. All tricks are optional, so that you can adapt to your client. So the image above is a testimonial of the engine flexibility and speed only. Quality level is up to the artist. I find it actually a big plus, because you can render as fast as Eevee, just by using the improved AO simplify option, using a render engine you already know and which has a very good eco system of ready to use assets, materials, plug-ins (like Toonkit), etc. And if you notice your client wants more or less quality, in Eevee you must add manual volume probes, fake lights, etc. which requires much more work and has to be redone when the scene is changed by the architect or client. With Cycles, you can just change it with one or 2 sliders to switch from Eevee/UE style to Photorealistic and it adapts instantly when the project is modified. So the example above was just to show their is no need to learn yet another render engine and that E-Cycles is very flexible and can indeed also be very fast.